Something I love about living in Vermont–close proximity to great live music. I’ve been shilling Angélique Kidjo’s music for more than 20 years, ever since I had a world music show on KNWD in Natchitoches. I was thrilled to see her perform last week at Middlebury College. Her voice is just astonishingly strong–clear and pure-pitched and powerful even as she dances all over the stage. That’s a clip of her from some years back and she’s only gotten better with age. She grew up in a musical family in Benin and honed her craft in Paris, bringing American R&B and Brazilian rhythm to fantastic African pop. 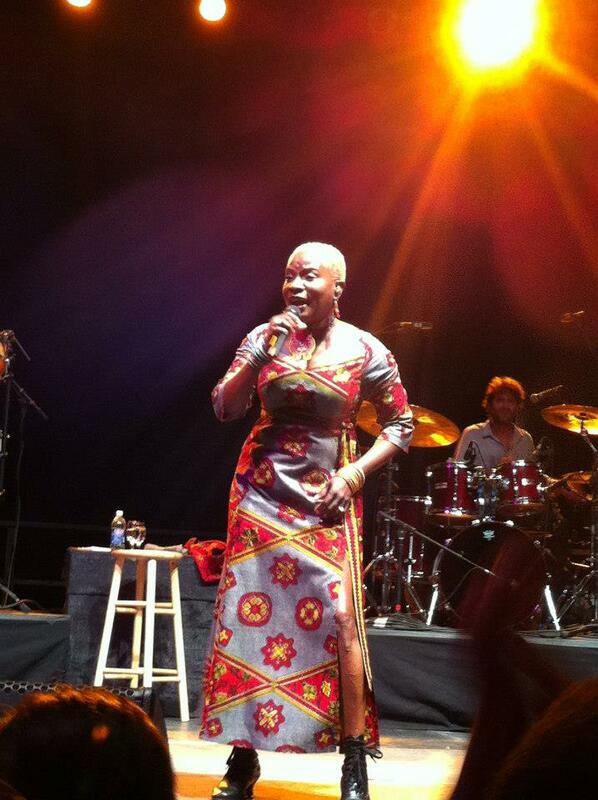 Kidjo has a boundless energy and positivity that embodies the best of what world music means.